Far Western’s commitment to scientific research and outreach can be seen in a number of works. Below is a sample of Far Western’s numerous contributions to the field of archaeology, including: books; chapters; online publications; theses and dissertations; and a wide variety of regional, national, and international journals. Middle Holocene Resource Intensification along the Southern California Coast: A View from Goleta Slough. Santa Barbara Museum of Natural History Contributions in Anthropology. Further Thoughts on the Age of the Sylwester Clovis Point: A Response to Haynes. PaleoAmerica 4(4):264-266. Alternative interpretations of intermediate and positive δ13C isotope signals in prehistoric human remains from southern Mendoza, Argentina: the role of CAM species consumption. Current Anthropology. Dental Calculus as a Source of Ancient Alkaloids: Detection of Nicotine by LC-MS in Calculus Samples from the Americas. Journal of Archaeological Science: Reports, Vol. 18:509-515. Next Generation Sequencing of Neisseria meningitidis from Dental Calculus: A Probable Case of Meningococcal Disease in a Prehistoric Native Californian Burial from San Francisco Bay. Journal of Paleopathology, Vol. 22:173-180. The Distribution of Olivella Grooved Rectangle Beads in the Far West. Journal of California and Great Basin Anthropology 38(2):241-252. Environmental diversity and stable isotope variation in faunas: implications for human diet reconstruction in Argentine mid-latitude deserts. Journal of Archaeological Science. An Innovative Method for Computing the Hydration Rate for the Browns Bench Obsidian Source. International Association for Obsidian Studies Bulletin 60:24-29. Ancient human parallel lineages within North America contributed to a coastal expansion. Science 360(6392): 1024-1027. Social Boundaries, Territoriality, and the Cultural Ecology of Artiodactyl Hunting in Prehistoric Central California. Quaternary International. Estrategias humanas, estabilidad, y cambio en la frontera agrícola sur americana. Latin American Antiquity. The Upper and Epipaleolithic of the Azraq Basin Jordan. In Quaternary of the Levant: Environments, Climate Change and Humans, edited by Yehouda Enzel and Ofer Bar-Yosef, pp. 66-677. Cambridge University Press. Niche dynamics of Paleolithic modern humans during the settlement of the Palaearctic. Global Ecology and Biogeography 26(3): 359-370. The Morro Bay Fauna: Evidence for a Medieval Droughts Refugium on the Central California Coast. American Antiquity 82(2):203-222. The Potential Role of Geophytes, Digging Sticks, and Formed Flake Tools in the Western North American Paleoarchaic Expansion. Journal of California and Great Basin Anthropology 37(1):3-21. Style, identity, and resource competition on the border: The incised stones of the Sacramento River Canyon. Quaternary International, Quaternary International. A Terminal Pleistocene/Early Holocene Environmental Record and Fluted Point from Twain Harte, California. PaleoAmerica, 3(3):260-275. Paleohydrology of China Lake Basin and the Context of Early Human Occupation in the Northwestern Mojave Desert, USA. Quaternary Science Reviews 167:112-139. Bedrock Mortars as Indicators of Territorial Behavior in the Sierra Nevada. Quaternary International (published online December 2017). Social Boundaries, Territoriality, and the Cultural Ecology of Artiodactyl Hunting in Prehistoric Central California. Quaternary International (published online December 2017). Tufa Village (Nevada): Placing the Fort Sage Drift Fence in a Larger Archaeological Context. American Museum of Natural History Anthropological Papers, Number 102. Prehistory of Nevada’s Northern Tier: Archaeological Investigations along the Ruby Pipeline Anthropological Papers of the American Museum of Natural History, No. 101. Prehistoric Settlement Trends on San Clemente and San Nicolas Islands, Alta California. California Archaeology 7(1):1-32. Where the Pavement Ends: An Assessment of the Near Absence of Haliotis refescens in the Archaeological Record on Alta California’s North Coast. California Archaeology 7(1):33-57. Haskett Spear Weaponry and Protein-Residue Evidence of Proboscidean Hunting in the Great Salt Lake Desert, Utah. PaleoAmerica 1(1):109-112. Old River Bed Delta Geomorphology and Chronology. In Anthropological Papers Number 128, edied by David B. Madsen, Dave N. Schmitt, and David Page, pp. 30-60. The University of Utah Press, Salt Lake City, Utah. Articulating with the Broader Economy: Chert Pressure Blade Technology in Caracol Residential Group. Research Reports in Belizean Archaeology 12:77–87. The Late Pleistocene Occupation of Madamagh Rockshelter, Southern Jordan: New Data and Perspectives on an Old Excavation. In Settlement, Survey and Stone: Essays on Near Eastern Prehistory in Honour of Gary Rollefson, pp. 37-52, edited by B. Finlayson and C. Makarewicz. Berlin, ex oriente. Global Patterns in the Exploitation of Shellfish. Journal of Island and Coastal Archaeology 9(2):145-149. Reconnaissance Survey for Paleolithic Sites in the Debed River Valley, Northern Armenia. Journal of Field Archaeology 39(4):370-386. Identifying Dart and Arrow Points in the Great Basin: Comment on Smith et al.’s “Points in Time: Direct Radiocarbon Dates on Great Basin Projectile Points.” American Antiquity 79:561-565. Unreliability of the Induced Obsidian Hydration Method with Abbreviated Hot-soak Protocols. Journal of Archaeological Science 52:428-435. The Holocene Biogeography of Gray Pine (Pinus sabiniana Dougl.) in California. Vegetation History and Archaeobotany 23(6):683-692. A Quantitative Assessment of Ethnographically Identified Activity Areas at the Point Saint George Site (CA-DNO-11) and the Validity of Ethnographic Analogy. Journal of California and Great Basin Anthropology 34(1):1-15. Beyond the Fertile Crescent: Late Palaeolithic and Neolithic Communities of the Jordaniean Steppe. The Axraq Basin Project Volume I: Project Background and the Late Palaeolithic (Geological Context and Technology). Council for the British Research in the Levant Supplemental Series Vol. 13. Oxbox Books, Oxford. Settlement Pattern and Site Seasonality Reconstruction at Two Late Holocene Shell Middens on San Francisco Bay. Journal of Archaeological Science 40:2014-2024. Large-scale Trapping Features from the Great Basin, USA: The Significance of Leadership and Communal Gatherings in Ancient Foraging Societies. Quaternary International 297:64-78. Temporal Components. Society for California Archaeology Proceedings 27:149-161. Hunter-Gatherer Storage, Settlement, and the Opportunity Costs of Women’s Foraging. American Antiquity 78:662-678. Boat-Based Foraging and Discontinuous Prehistoric Red Abalone Exploitation along the California Coast. Journal of Anthropological Archaeology 31:196-214. Economic Foraging at a Distance Is Not a Question of If but When: A Response to Grimstead. American Antiquity 77:160-167. Multiperiod Archaeological Reconnaissance in the Debed River Valley, North-Eastern Armenia. Antiquity 85(329). Looking for Pieces of the Puzzle. Far Western Anthropological Research Group, Inc., Davis, California. Pavement Quarries, Gypsum Period Residential Stability, and Trans-Holocene Settlement Systems of the Mojave Desert: A Case Study at Fort Irwin. Journal of California and Great Basin Anthropology 29(2):121-144. Stable Isotope Analysis of Olivella Shell Beads from the Los Angeles Basin and San Nicholas Island. Journal of Island and Coastal Archaeology 5:105-119. Human Behavioral Ecology and Historical Contingency: A Comment on the Diablo Canyon Archaeological Record. American Antiquity 75:679-688. Prehistoric Behavioral Depression of Cormorant (Phalacrocorax spp.) on the Northern California Coast. Journal of Archaeological Science 37:2562-2571.
Review of California Maritime Archaeology: A San Clemente Island Perspective, L. Mark, Raab, Jim Cassidy, Andrew Yatsko, and William J. Howard. Journal of Island and Coastal Archaeology 5:294-295. Pavement Quarries, Gypsum Period Residential Stability, and Trans-Holocene Settlement Systems of the Mojave Desert: A Case Study at Fort Irwin. Journal of California and Great Basin Anthropology 29(2):121-143. 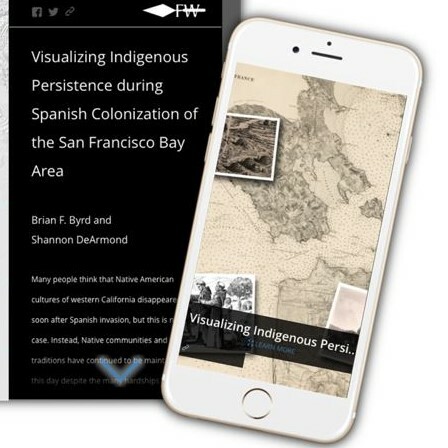 Mound Occupation in the South San Francisco Bay Area: The Yñigo Mound in Historical Context. Proceedings of the California Society for California Archaeology 1:82-88. Identifying a Roman Casting Pit at Tel Dor, Israel: Integrating Field and Laboratory Research. Journal of Field Archaeology 34(2):135-151. Gypsum Cave Revisited. Mini-report in In Situ 13(1). Newsletter of the Nevada Archaeological Association. Review of California Indians and Their Environment: An Introduction, Kent G. Lightfoot and Otis Parrish. California Archaeology 1(2):293-295. Shellfish Transport, Caloric Return Rates, and Prehistoric Feasting on the Laguna de Santa Rosa, Alta California. California Archaeology 1:55-78. TEA GIS Database. Proceedings of the California Society for California Archaeology 22. TEA Geoarchaeological Study–the Potential for Buried Archaeological Sites in Central California Proceedings of the California Society for California Archaeology 22. Workaday Windmiller: Another Look at Early Horizon Lifeways in Central California Proceedings of the California Society for California Archaeology 23. Last Glacial Maximum Fauna from Great Saltpeter Cave, Kentucky. In Paleoenvironments: Vertebrates and Invertebrates. Current Research in the Pleistocene 26:177-180. Tahoe Reach Revisited: The Latest Pleistocene/Early Holocene in the Tahoe Sierra. Proceedings of the California Society for California Archaeology 23. Are Deer Really Susceptible to Resource Depression? Modeling Deer (Odocoileus hemionus) Populations under Human Predation. California Archaeology 1:93-108. Coso Rock Art within its Archaeological Context. Journal of California and Great Basin Anthropology 28(1):1-22.
Review of Foragers of the Terminal Pleistocene in North America, edited by Renee B. Walker and Boyce N. Driskell. Journal of Field Archaeology 33:243-246. Incipient Aquaculture in Prehistoric California? : Long-Term Productivity and Sustainability vs. Immediate Returns for the Harvest of Marine Invertebrates. Journal of Archaeological Science 35(4):1124-1123. Linguistic Boundaries as Barriers to Exchange in Northwestern California. Journal of Archaeological Science 35(4):1104-1113. Sediments Exposed to High Temperatures: Reconstructing Pyrotechnological Processes in Late Bronze and Iron Age Strata at Tel Dor (Israel). Journal of Archaeological Science 34(3):358-373. Paleopathology in Late Pleistocene and Early Holocene Central Plains Bison: Dental Enamel Hypoplasia, Fluoride Toxicosis and the Archaeological Record. Journal of Archaeological Science 34(11):1847-1858. A Further Assessment of Paleoindian Site-Use at Bonfire Shelter. American Antiquity 72(7):373-381. New Obsidian Hydration Findings Suggest the Use of Split-Stem Points by Great Basin Paleoindians. Current Research in the Pleistocene 24:80-82. Early Holocene Landscape Archaeology in the Coso Basin, Northwestern Mojave Desert, California. North American Archaeologist 28(2):87-112. California Archaeology: Alive and Well. A Review of California Prehistory: Colonization, Culture, and Complexity, edited by Terry L. Jones and Kathryn A. Klar. American Antiquity 72(2):382-388. Costly Signaling and the Ascendance of No-Can-Do Archaeology: A Reply to Codding and Jones. American Antiquity 72(2):358-365. Approaching Prehistory in the Future on MCB Camp Pendleton, Southern California. Proceedings of the Society for California Archaeology 19:229-232. Prehistoric Pinyon Exploitation in the Southwest Great Basin: A View from the Coso Range. Journal of California and Great Basin Anthropology 26(1):11-32. Prehistoric Plant Use in the Cuyama Valley: The Importance of Small Sites Proceedings of the Society for California Archaeology 19:168-172. The Hot Tubb Folsom-Midland Site (41CR10), Texas. Plains Anthropologist 51(198):157-184. Excavations at CA-MNT-238, at Kirk Creek on the Big Sur Coast. Proceedings of the Society for California Archaeology 19:220-228. When is an Olivella Bead? Proceedings of the Society for California Archaeology 19:128-131. Comment on “Ahead of the Game: Middle and Upper Palaeolithic Hunting Behaviors in the Southern Caucasus” by DS Adler et al. Current Anthropology 47(1):110. Historic Period Faunal Remains from Mustang Springs on the Southern High Plains of West Texas. Plains Anthropologist 50(194):93-110. On Bonfire Shelter as a Paleoindian Bison Jump: An Assessment using GIS and Zooarchaeology. American Antiquity 70(4):595-629. Reassessing the Emergence of Village Life in the Near East. Journal of Archaeological Research 13:231-290. Provenance Analysis of Olivella biplicata Shell Beads from the California and Oregon Coast by Stable Isotope Fingerprinting. Journal of Archaeological Science 32:1501-1514. Application of Return Rates to Large Mammal Butchery and Transport among Hunter-Gatherers and its Implications for Plio-Pleistocene Hominid Carcass Foraging and Site Use. Journal of Taphonomy 3(3):135-158. Re-Thinking Great Basin Foragers: Prestige Hunting and Costly Signaling During the Middle Archaic Period. American Antiquity 70(4):695-712. Thirty Years After: 1974 Excavations at Kirk Creek, CA-MNT-238, on the Big Sur Coast. Occasional Paper No. 18, San Luis Obispo County Archaeological Society San Luis Obispo, California. Itinerant Industry: Nineteenth-century Charcoal Production in the Coso Mountains. Proceedings of the Society for California Archaeology 18:176-180. Rockshelter Roof Sticks of Southern Nevada. Nevada Archaeologist 20&21:85-88. Late-Period Resource Intensification in Sierra Valley, Eastern Plumas County: A Response to the Medieval Climatic Anomaly. Proceedings of the Society for California Archaeology 18:45-52. The Medieval Climatic Anomaly and Central Sierra Foothill Prehistory. Proceedings of the Society for California Archaeology. 18:307-311. A Unique Example of Early Technology and Land Use in the Eastern Great Basin. Current Research in the Pleistocene 21:32-34. Are Obsidian Subsources Meaningful Units of Analysis? : Temporal and Spatial Patterning of Subsources in the Coso Volcanic Field, Southeastern California. Journal of Archaeological Science 31:21-29. The Prehistoric Development of Intensive Green-Cone Piñon Processing in Eastern California. Journal of Field Archaeology 29:17-27. Archaeological Discovery of Two Wooden Bows from the Coso Range, Inyo County, California. Journal of California and Great Basin Anthropology 24(2):183-192. Re-Examining Coso Obsidian Hydration Rates. Society for California Archaeology Proceedings 14:135-142. Featured Research: Recent Developments in California Geoarchaeology. The Geological Society of America Newsletter of the Archaeological Geology Division 26(2):5. Cultural Landscapes of Coastal Foragers: An example of GIS and Drainage Catchment Analysis from Southern California. Journal of GIS in Archaeology 1:48-60. Large Game Hunting, Gender-Differentiated Work Organization, and the Role of Evolutionary Ecology in California and Great Basin Prehistory: A Reply to Broughton and Bayham. American Antiquity 68(4):790-792. A Test of an Osteologically-Based Age Determination Method in the Double-Crested Cormorant (Phalacrocorax auritus). Ibis 144:143-146. Late Holocene Adaptations along the Northern San Diego Coastline: New Perspectives on Old Paradigms In Catalysts to Complexity: Late Holocene of the California Coast, edited by J. Erlandson and T. L. Jones, pp. 41-62. UCLA Press. Transition from Geophyte to Seed Processing: Evidence for Intensification from Thermal Features near China Lake, Northern Mojave Desert. Pacific Coast Archaeological Society Quarterly 38, Nos. 2 & 3:19-36. Will the True Age of the Borax Lake Pattern Please Stand Up? The Archaeology of CA-HUM-573, an Early Holocene Site on the South End of Pilot Ridge, Humboldt County, California. Society for California Archaeology Proceedings 15:1-7. The Ascendance of Hunting during the California Middle Archaic: An Evolutionary Perspective. American Antiquity 67(2):231-256. Projectile Point Typology and Chronology in the North Central Sierra Nevada. North American Archaeologist 23(2):157-183. The Water Supply System at Roman Dor. The Aqueducts of Israel. Journal of Roman Archaeology, The Aqueducts of Israel, Supplement 46, edited by D. Amit, Y. Hirschfeld, and Y. Patrich. A Middle Holocene Olivella Wall-Bead Assemblage from Central California. Society for California Archaeology Newsletter 34(4). Donax Don’t Tell: Reassessing Late Holocene Land Use in Northern San Diego County. Journal of California and Great Basin Anthropology 23(2):179-214. Households in Transition: Neolithic Social Organization within Southwest Asia. In Life in Neolithic Farming Communities: Social Organization, Identity, and Differentiation, edited by Ian Kuijt, pp. 63-98. Kluwer Academic/Plenum Press. Review of Glen Canyon: An Archaeological Summary by Jesse D. Jennings. Journal of California and Great Basin Anthropology 22(1):164-166. Prehistoric Adaptations on the Shores of Morro Bay Estuary: A Report on Excavations at Site CA-SLO-165, Morro Bay, California. San Luis Obispo Archaeological Society Publications.